If bad weather got in the way of your plans to go to a boating or fishing show last weekend, you've got plenty of chances to make up for it this weekend. Of course if you happen to be down that way there's the Miami Boat Show, one of the world's biggest industry events. 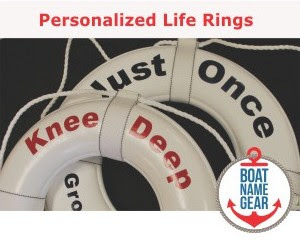 And up in our home state of Connecticut, we've got the Northeast Fishing and Hunting Show displaying a few small to medium sized boats enough fishing gear to keep us entertained for a few hours. Miami International Boat Show - With multiple locations and an extended schedule that takes advantage of the holiday on Monday, you won't want to miss this show. Northeast Fishing and Hunting Show - Right in our back yard in Hartford, CT, so we're big fans of this event. There are quite a few boats on display. The Detroit Boat Show in Michigan and the New England Boat Show in Boston. Both shows are significant and worth attending if you're in the area. 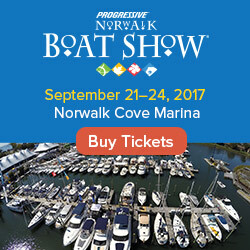 The Long Island Boat Show was so difficult to get to last weekend because of the snow, they have extended their hours to include this weekend. And upstate, there is the Central New York Boat Show at the New York State Fairgrounds in Syracuse.